It’s shaping up to be a slower summer in BC’s once red hot housing market. Home sales for the month of June ticked in at 7884, a 33% decline year over year, this marked a five year low. 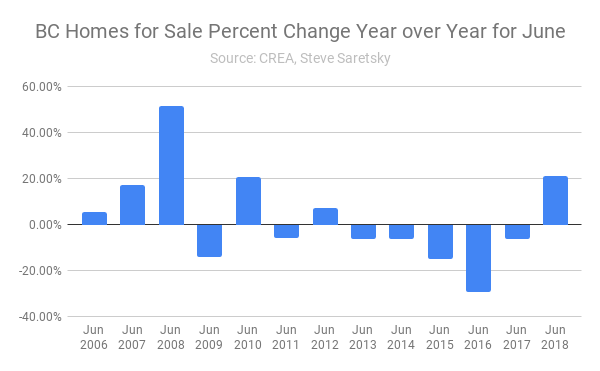 June Sales Year over year percent change. This appears to be more than just a summer doldrum. 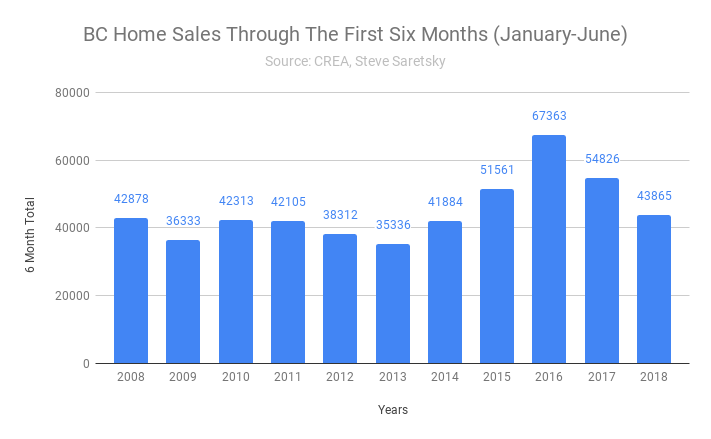 Total sales for 2018 appear to be heading back to pre housing boom levels. Through the first six moths of this year home sales are down 20% compared to the same time period a year ago. 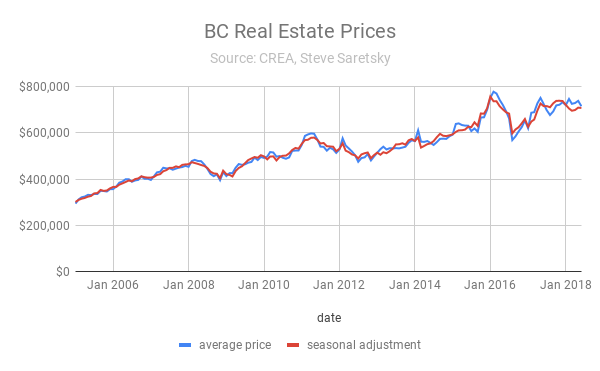 BC Home Sales through first half of the year. As sales fell 33%, inventory simultaneously increased. Inventory for sale jumped 21% from June of 2017. This was the first year over increase since June of 2012. However, inventory remains below historic norms for this time of year. Although, the addition of a record high 55,000 units under construction should help in the months ahead. 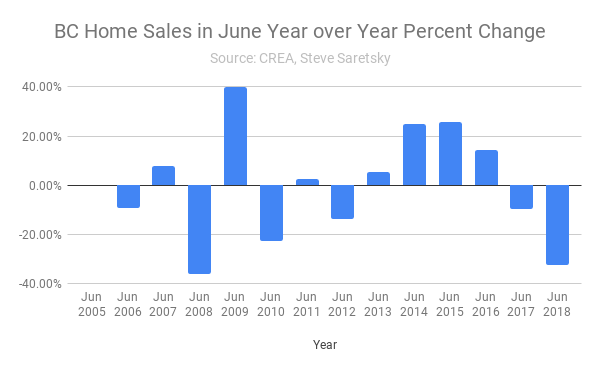 The average sales priced dipped 2% year over year in May, and continued that trend in June, recording a 1.3% decline on a year over year basis.